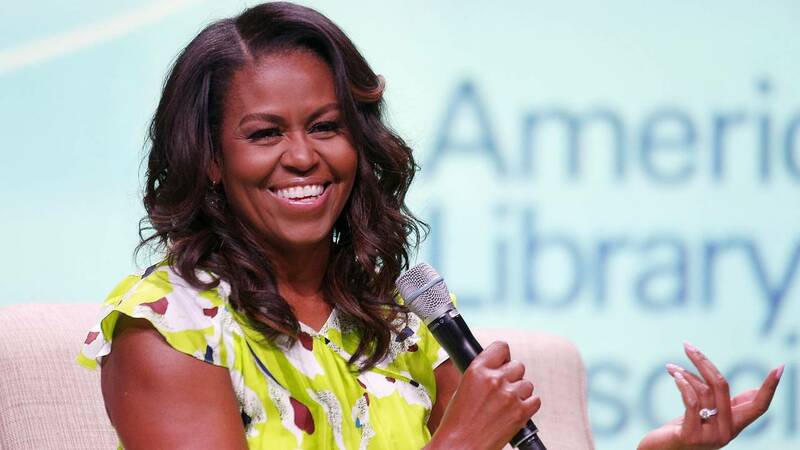 (CNN) - "Becoming" by Michelle Obama is not just one of the best-selling books of the past year — it is one of the hottest titles of the decade. "Becoming" was released on November 13, specifically timed to maximize holiday season sales. According to Amazon Charts, it was No. 1 "most sold on Amazon across all formats for 47 consecutive days," which is the longest streak since "Fifty Shades." Another book briefly took the top spot on day 47, Amazon said, but "Becoming" returned to No. 1 and has stayed there practically ever since. Spot checks of the website this month have showed Obama holding steady at the top of the list, with Marie Kondō and Rachel Hollis following close behind. Obama eclipsed all of 2018's Trump-related titles within a few weeks of being released. Pro-Trump books like "The Russia Hoax" and takedowns like "Fire and Fury" have performed remarkably well for publishers, but "Becoming" has had more staying power. Four of those were by JK Rowling: "Harry Potter and the Goblet of Fire" in 2000, "Harry Potter and the Order of the Phoenix" in 2003, "Harry Potter and the Half-Blood Prince" in 2005, and "Harry Potter and the Deathly Hallows" in 2007. The other three were "Da Vinci Code" in 2003; "A New Earth: Awakening to Your Life's Purpose," which came out in 2005, but hit No. 1 when Oprah Winfrey endorsed it in 2008; and "Fifty Shades of Grey" in 2012. The publishing house behind the book, Penguin Random House, declined to provide updated sales totals. But in its first week on sale, "Becoming" sold more than 1.4 million copies, the company said back in November. What's remarkable is that the book continues to sell so well, despite the early rush of demand. On a weekly basis, "Becoming" has "consistently held the No. 1 spot on its weekly Most Sold and Most Read nonfiction lists since the book was released in November," Amazon said this week. The book has also ranked No. 1 on the New York Times' nonfiction best seller list for eight consecutive weeks. Penguin Random House also has a deal to publish Barack Obama's post-presidential memoir. That book does not yet have a publication date.